Vector versions available. The caption of each picture links to the corresponding SVG version. You can see its nomination at Commons:Valued image candidates/Schematic church plans. 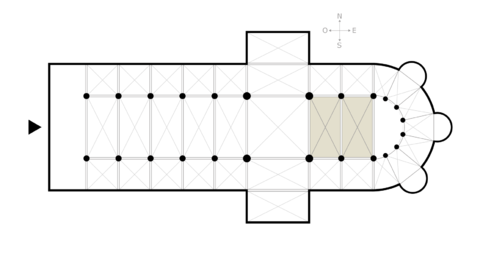 A set of schematic floor plans of a church, highlighting the respectively named part. This page was last edited on 19 August 2018, at 20:56.